After talking to quite a few fans in the ImproDrone ecosystem, I’ve noticed that one of the most popular drones that’ loved is the Hubsan X4 FPV. So to help you and our many fans at ImproDrone, we are going to review the Huban X4 FPV Drone. The Hubsan X4 FPV is a great little drone that comes equipped with a camera that can be used for first-person-view flying. Which probably makes it the smallest drone in the world that is able to do such a thing. 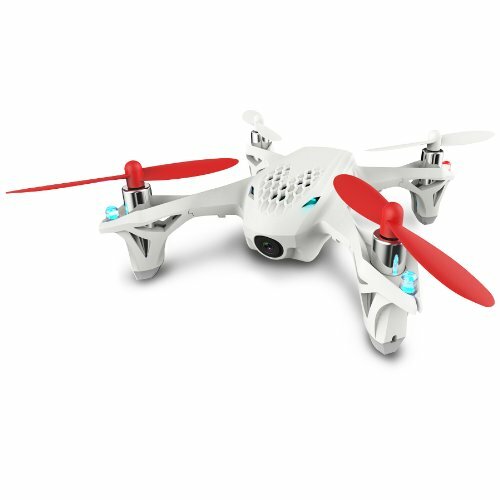 This X4 is also very popular with drone hobbyists and is a great gift for beginners and children. It’s actually so popular and does its job so well that we included it in our Ultimate Drone Guide, which is something that we don’t take lightly. Another great thing about this drone is its very low cost. As of writing this blog post, the Hubsan X4 is only $83 (Check For Latest Price ). Which is much cheaper than almost all of the other drones on the market and a great price for many of the drones in its class. The Hubsan X4 comes powered by a 3.7V 240 mAh lithium polymer battery, which is respectable for a drone of its size. It does have a fairly long charging time of about 40 minutes to reach maximum capacity, but once it reaches full charge it has a flight time of about 9 mins. At first, you might think that that is not a long time to fly but remember that 9 mins is just an average and the flight time really just depends on how aggressively you fly the drone. Also, a lot of the drones around its size that does not include a camera only has a flight time of about 5-7 mins. So the Hubsan X4 is actually much better. Nevertheless, 9 mins is definitely not that long of time, so if you would like to combat that I recommend that you buy a couple of extra batteries. They don’t cost that much, maybe a couple of dollars, and can increase your flight sessions by many folds. The Hubsan X4 comes with a 0.3-megapixel sensor and 640×480 resolution which is not that great but at least it’s still a camera. Some people have said that depending on where they are flying, the video can get quite glitchy. And the problem is that since the Micro SD card is in the controller, those glitches do become apparent on the recorded videos. Nevertheless, most people that buy the Hubsan X4 aren’t planning to use it for amazing photographs, but it’s always great to have a camera on a drone especially this cheap. Unlike many of the top-notch drones, The Hubsan X4 FPV does not include GPS, so it does tend to drift around quite a bit. So it can easily go one way when you are trying to go the other. So trying to keep this drone in one place is quite difficult. I personally love flying my drones outdoors but with the Hubsan X4 that is pretty challenging. Depending on where you live, this drone can be easily pushed around by even the most moderate of winds, so be careful. Another great thing about this drone is that you can purchase a prop guard that can fit perfectly on the drone. The prop guard will help protect your drone’s propellor’s from damage whenever it hits something. It’s a definite must-buy if you are a beginner because you will inevitably hit something and it’s nice to try to protect your drone when that time comes. The Hubsan X4 FPV is a solid drone for beginners who would like some experience with FPV Flight. However, if your main goal is to take amazing photographs and videos, then this drone is not for you. This drone is definitely one of the most popular drones in the world but it’s definitely not for everyone.